Parkland and gardens surrounding an elegant Queen Anne manor. The gardens are best known for the Snowdrop Woods, with early flowering snowdrops in bloom through February and early March. 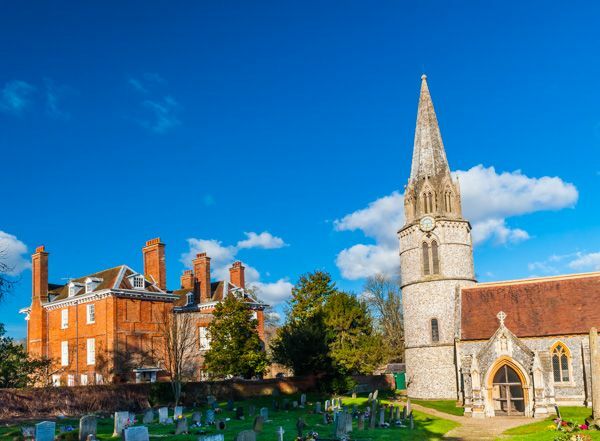 During the Middle Ages, the monks of Abingdon Abbey owned the manor of Welford. The Dissolution of the Monasteries stripped the abbey of its possessions, but rather than sell off Welford, Henry VIII kept it for himself as a hunting lodge. Then in 1546, he granted it to Sir Thomas Parry, a courtier and later Treasurer to Elizabeth I. In 1618 the Parry's sold Welford to Sir Francis Jones, soon to become Lord Mayor of London. This is the only time in the long history of Welford Park that the estate has been sold. 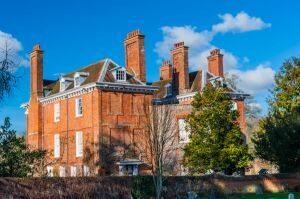 In 1652 Richard Jones, Sir Francis' grandson, had the elegant brick house we see today built by architect John Jackson. Richard died without a male heir, and his daughter Mary married John Archer. It was an altogether different Archer who had a more profound effect on Welford. In 1700 Thomas Archer married Eleanor Archer, Mary's daughter. Despite the confusion of names, Thomas was not related to the Welford Archers. He was, however, set to become one of the great architects of early 18th century England, and would leave his stamp on some of the great country houses of the day. The Jacobean house at Welford was really his first major essay at architecture. Archer renovated the front facade, adding Ionian columns to create a neoclassical look, and raised the roof by adding another storey. An even bigger transformation came later, however, in 1840, when a courtyard behind the house was filled in to create the exceedingly large dining room. The next few generations of Welford owners are a confusing jumble of marriages and name-changing in the aide of inheritance. The manor passed at length to the Eyre family and was let out to tenants. It served as a convalescent home in WWI but is once again a family home. Because it is very much a family home, Welford Park house itself is rarely open to visitors. Not so, however, for the grounds, which are famous for their snowdrop display in early spring. Snowdrop opening times usually run from very late January through February. Check the website for current details. If you are a horticulturalist you'll want to know that the snowdrops at Welford are primarily Galanthus Nivalis. They carpet the ground in a 5-acre beech wood beside the River Lambourn. Dotted amongst the beech trees are rare species like Lady Elphinstone and Lord Monstictus. Snowdrops are traditionally considered a symbol of purity and cleansing. They were often planted by medieval monks, which might explain why many of the major monastic sites in Britain are blessed with magnificent displays of snowdrops. The Welford snowdrops were probably planted by the monks of Abingdon and used to decorate their church for Candlemas. The monks also used snowdrops to create a medicinal salve, used to combat headache. We came to Welford Park by sheer chance. We were actually intending to visit the church of St Gregory's, immediately beside the manor house. When we saw the crowds of people heading off to view snowdrops, we couldn't resist. Welford is a wonderful experience, the setting is superb, with the lovely woodland and the historic manor house. Do be sure to wear good waterproof footwear in case the ground is muddy.